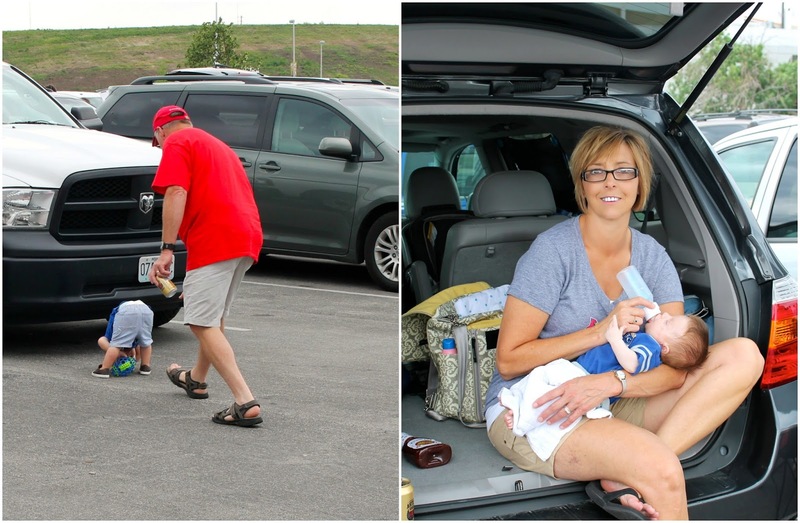 My parents came to town a couple of weeks ago, mainly because we had tickets to the Royals vs. Cardinals game. They are big Cardinals fans (though they claim they were Royals fans in the 80s), but the four of us in blue clearly outnumbered their red. 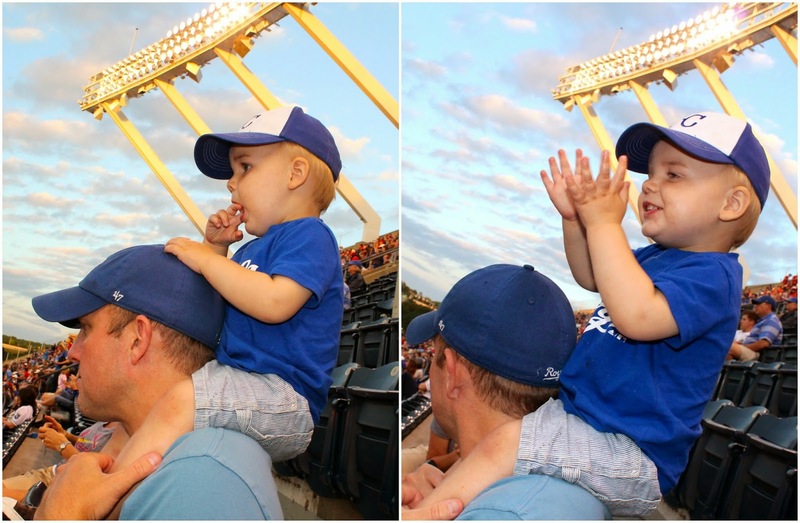 It was a perfect night to enjoy a baseball game--Holden's first--and even better because the Royals won! We went early and tailgated, of course. 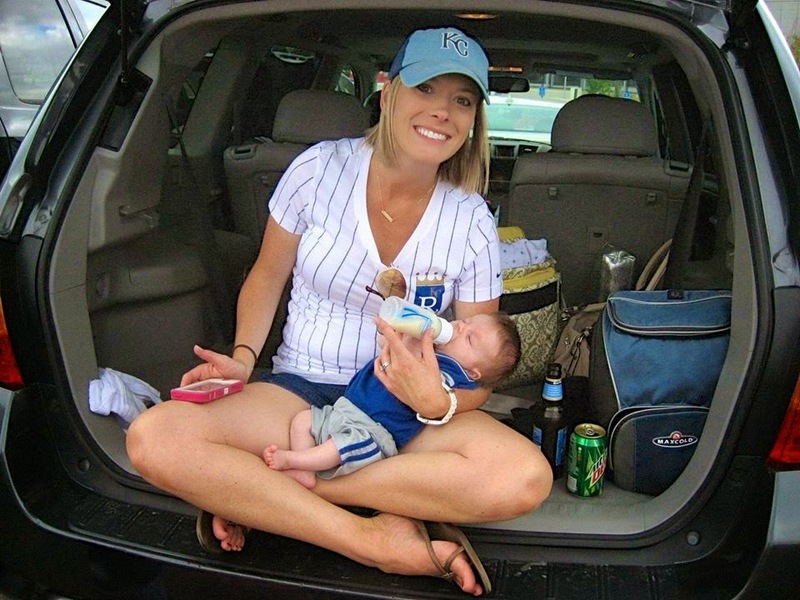 Beers for the adults, balls for the toddler, and bottles for the babe. We also had time to snap a few pictures. Something I insisted on since this was Holden's first game. Brantley's interest level was about fifty times higher than it was just eight weeks prior during opening weekend. Perhaps the result of having baseball on t.v. each and every night in our house! Proud daddy (and mommy) moment below. 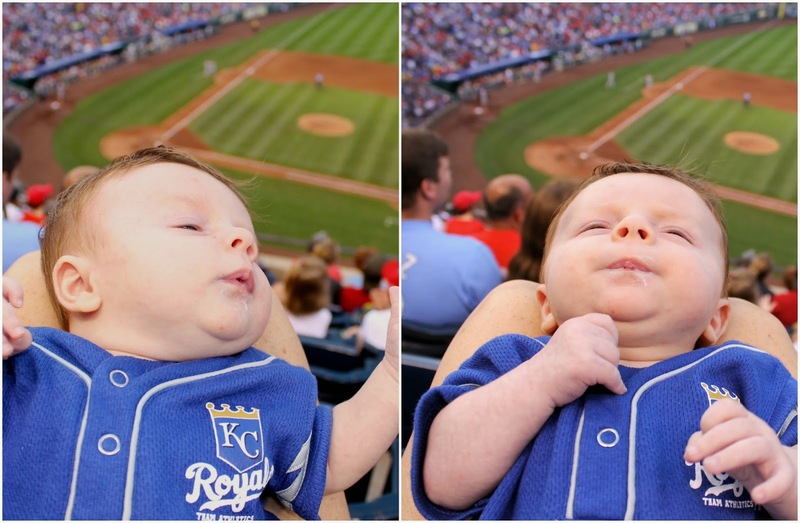 Sweet Baby Holden enjoyed his first Royals outing at just one day shy of seven weeks old. I'm sure some people think we're crazy for taking a baby so young, but we've never let a child stop us from living, nor do we have plans to. And don't you worry, we made sure to get Holden a certificate commemorating his first baseball game! 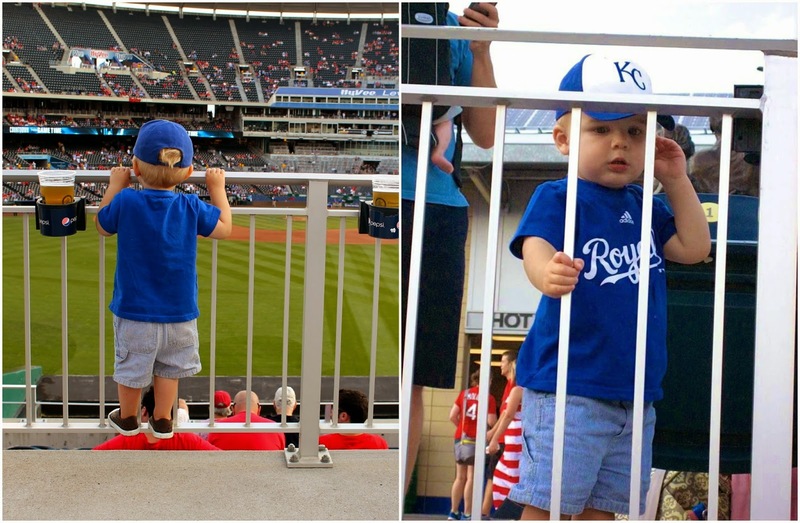 Our seats were up high, which had me a little worried about Brantley losing interest/misbehaving/getting antsy. But to my surprise, he acted amazingly. It could have had something to do with the large bag of treats Grandma brought. He was so cute. Clapping whenever everyone around us started to clap. Which meant he clapped anytime the Royals or Cardinals did something good. Meanwhile, Holden just chilled. He was (and is) such a good baby. I think it's safe to say he enjoyed his first game! The outfield was mowed in the shape of a crown. So cool. Anyway, it was a fun Thursday night outing. And so successful of an evening that we're headed back to the K this Friday to watch the first place Royals take on the Mariners! For other Royals-inspired posts, click here!